Still working my way through the fantastic polishes I've been swatching for Dazzled, I spent some time a few days back with Lonesome George. 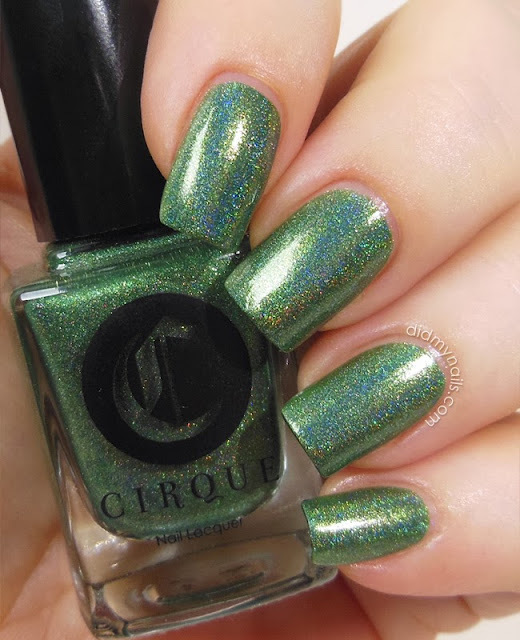 This is three coats of Cirque Lonesome George, and is he not just gorgeous? 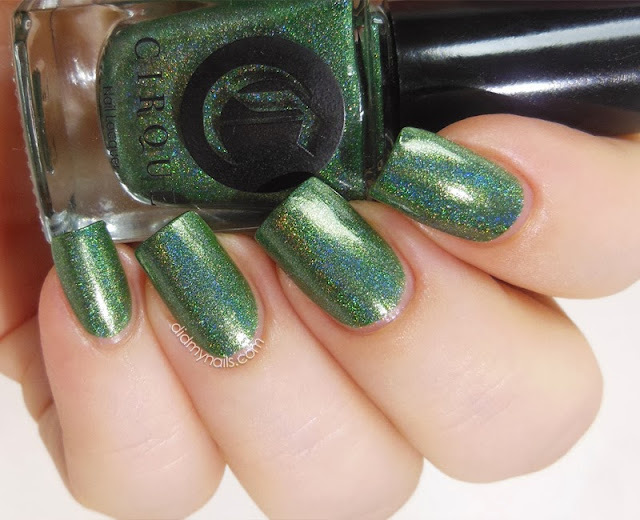 A lovely, grassy green, it also has a beautiful holographic shimmer that reminds me of a-England (Fated Prince, Briar Rose, Ascalon), the way it adds another fantastic dimension to the overall effect without being so bold as to steal the whole spotlight for itself. Very nice balance, beautifully done. I'm wearing my three coats of Lonesome George sandwiched here, meaning I did two, repeated a base coat, and then added coat number three. That way it had a bit of protection, but the awesome holo wasn't dimmed at all by top coating. So pretty! I will definitly buy this some day. This is such a gorgeous polish!! I love this green holo. So pretty.